Years ago, blame went to the Japanese. Then it shifted to Mexico. And as our economy continues to struggle, the whipping post as of late has been the Chinese. The war cry comes from all directions and it is one of the most generalized statements that someone can make. “It’s The Chinese’s Fault.” I am never sure if this is meant to point blame at the entire physical country of China, certain areas, the people, or the government. I am by no means an economist so I cannot present a strong enough debate on import versus export, and all the other economic factors that tie between countries. But I can say this, without a shadow of a doubt, that the Chinese people themselves are not to blame. Well at first, I figured “so what – who the hell are you to criticize or judge me?” Or was he one of the few individuals who actually believe if a couple (intentionally saying couple because he probably did not approve of single parenting either) cannot have a child biologically, that was God’s way of saying that they should not be parents. Instead, he hit me with a comment that I never ever thought I would have heard from anyone. I would love to just end this post on that ignorant comment. But really, it is the punctuation mark of all the comments that I have ever heard, put together in the form of a compound sentence. If they were all written on a piece of paper, I would have crumbled it into a ball and throw it in the trash, where I now felt that co-worker belonged. The thing is, this ignorance is no different than blaming the Chinese for our economy or the Kardashians. I cannot confirm it with the Kardashians, but the comments are defintely hurtful for my daughters. But day after day, it is the same rhetoric, “it’s the Chinese” or “Chinese merchandise is crap”, and the list goes on. I was born in Allentown, Pennsylvania. I have a mixed ethnic heritage, but I am fairly certain, that according to family lineage, I am American by birth only. I have actually gone back and traced family histories to know that at least one person on each side of my family came from Germany at some point in the 1800’s. My daughters were sworn in as American citizens on United States soil as part of their adoption. Yes, they will identify themselves as Chinese-American, and learn both cultures, but make no mistake, they are American. But having visited China personally, I want to share some of my observations and experiences. So to be clear, while in the provincial city, I did not hear a lot of English being spoken and even when we were at Shamian Island, which is very touristy, the people of China were nothing less but courteous, polite, and nice. There was a bit of curiosity with us being Caucasian and “round eye” (well at least the others, I have what is described as “almond eyes” which often results in me being confused with being Chinese, which I am not). At least from outside appearances, everyone went about their business. It was hard to believe that we were walking around in a communist country. Other than the banks being a LOT more secure having heavily armed guards, the people of China seemed to go through the motions of every day life. This is not to say that we did not see people that were not as prosperous, but they seemed to be living the only life they know. In the main part of the capital city, it was quite busy. But on our second trip, we were actually taken to a village outside of the city. The village looked like a “third world” site. Any flooring was concrete, but more often than not, it was dirt. There were no visible wiring so the village clearly had no power, and there did not seem to be any plumbing as evidenced by an elderly woman carrying two buckets of waste balanced on a pole atop of her shoulders heading out to a field to dispose of. Rubble was scattered all over. But this village was considered a “farming” village. And the fields were huge. Most likely grown children were working in major cities for income as we saw mainly either older adults or small children. To say they lived modestly is an understatement. While back in the city, we learned very quickly the value of the American dollar. The exchange rate, which is often ridiculed by the United States and many of its citizens was around 8 of their dollars to every one of ours. A bottle of Coke was bought for less than 50 cents while at home here in the US, it cost me $1.75. Why such a disparity for the same bottle, the same serving, the same taste, the same formula. Yet clearly China was able to make a profit on this product, as everything else. But the US made an additional $1.25 on the sale of that bottle of Coke and it is the fault of the Chinese that our economy is in trouble? I came home with a couple of baseball caps from China. I paid three dollars (24 yuan) for each hat. At home in the US, those same hats would be sold in Walmart for at least twenty bucks if not more. Again, if the Chinese are able to make a profit from three dollars, and the US companies can actually convince its citizens to spend up to $17 more, how is this the fault of the Chinese? For just sixty American dollars, we had a special oil painting hand painted while we were in China, that would have cost us well over $200 at home. The only thing that the Chinese are at fault of, is not going for full-on profit. I am not in total denial. I have seen documentaries on television that show products made in China, and made in “sweat shops” or underage workers. Sadly, I think they exist everywhere in the world, and that does not make it right. But to blame the Chinese “people” for our economy, it is simply not fair. If it is a political thing, then it needs to be clarified. 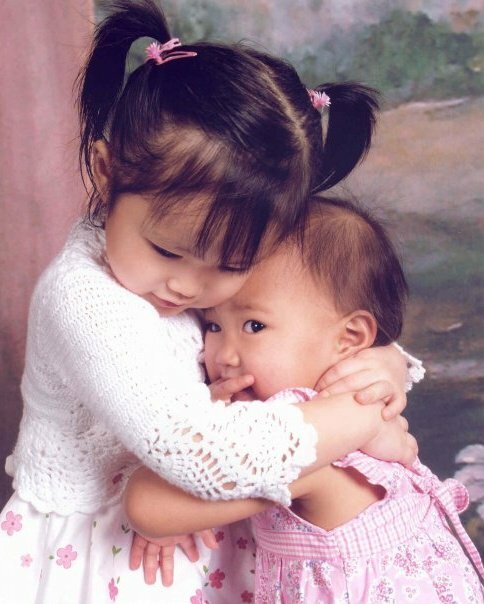 My daughters are United States citizens of Chinese descent. They are proud of their heritage as am I. But try to explain to a ten year old, when they overhear an adult conversation and hear the word China and the words “fault” or “blame” and then hear the accompanying anger, that the comments are not made for them. As they ask for an explanation, and they say it almost with embarrassment or shame, “but I’m Chinese.” No one is making any other distinction. It is only the fault of the Chinese.